This little sugar wanted the same themed birthday party her sister had at 7 years old. Which was great because I'd done all the planning beforehand and even saved a lot of the "stuff." 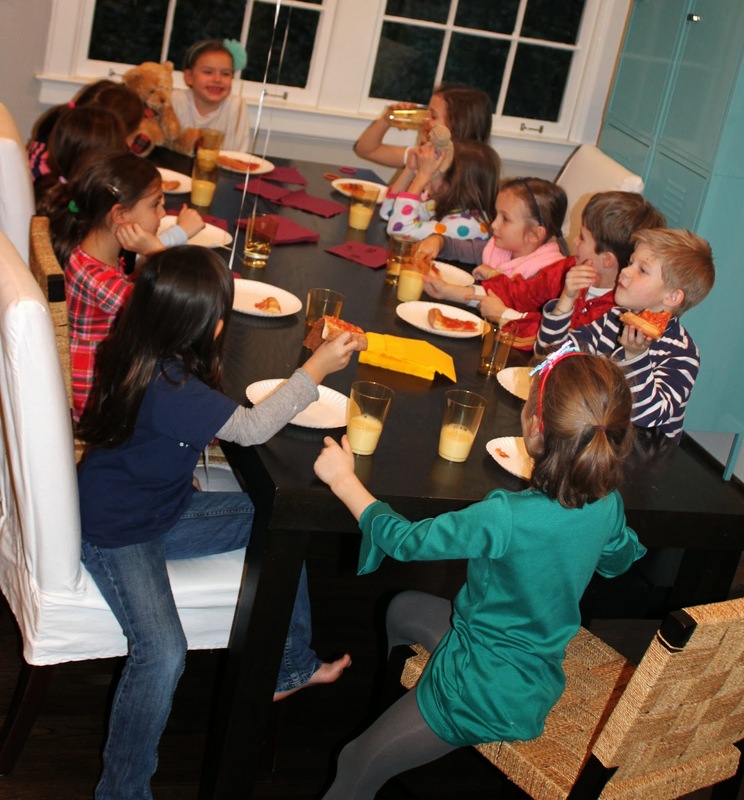 It was a Harry Potter-Faux Slumber-Movie Party! Wear your jammies and bring a special blanket, stuffie, or pillow to cuddle while we watch the movie." 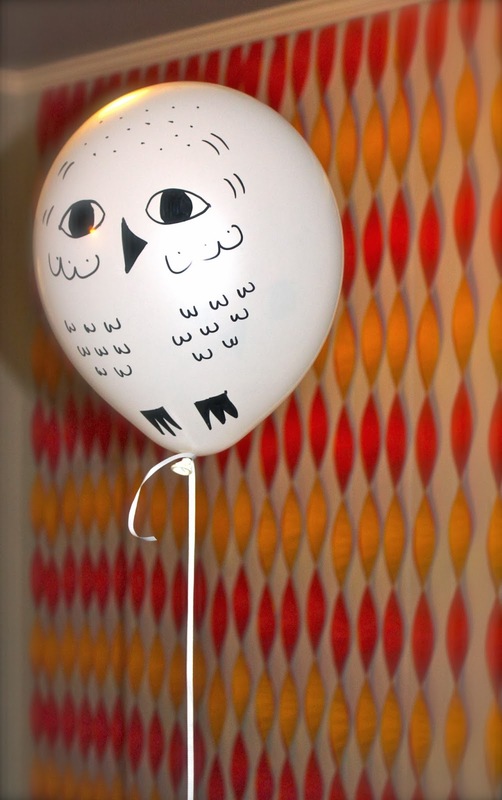 Hedwig balloons greeted the guests and were scattered all over the house. And each guest got to leave with one too. 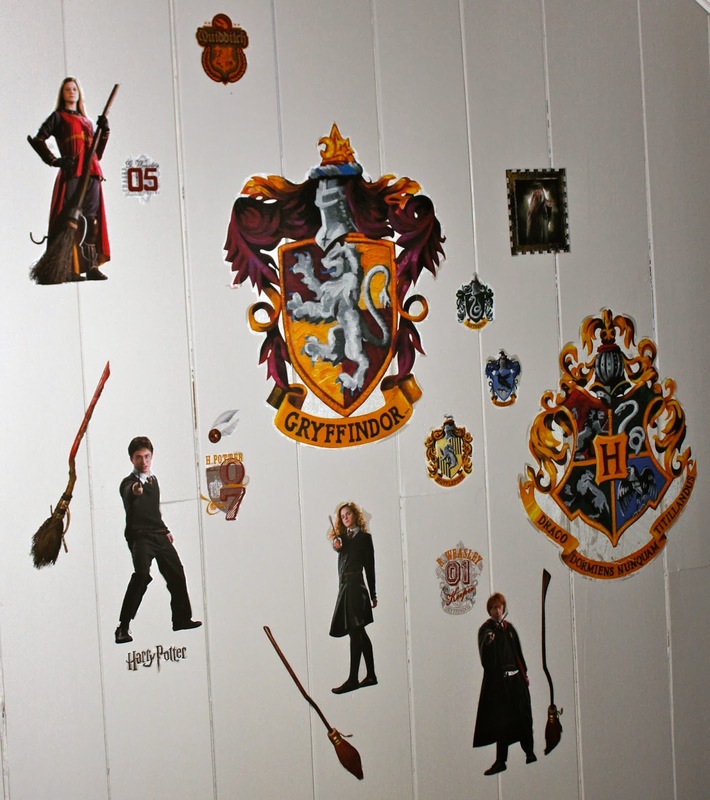 I'd also planned to serve "Butter Beer Floats;" however, these 12 were already so wound up I decided against it. Seriously. … and then Quidditch CUPCAKES! After dinner and dessert, we headed upstairs to the "theater" to snuggle-in for our birthday showing of Harry Potter and the Sorcerer's Stone. We had a movie-time treat bar (which had to be removed about 20 minutes into the movie, as it become clear that some guests were going to eat themselves sick if given the opportunity). 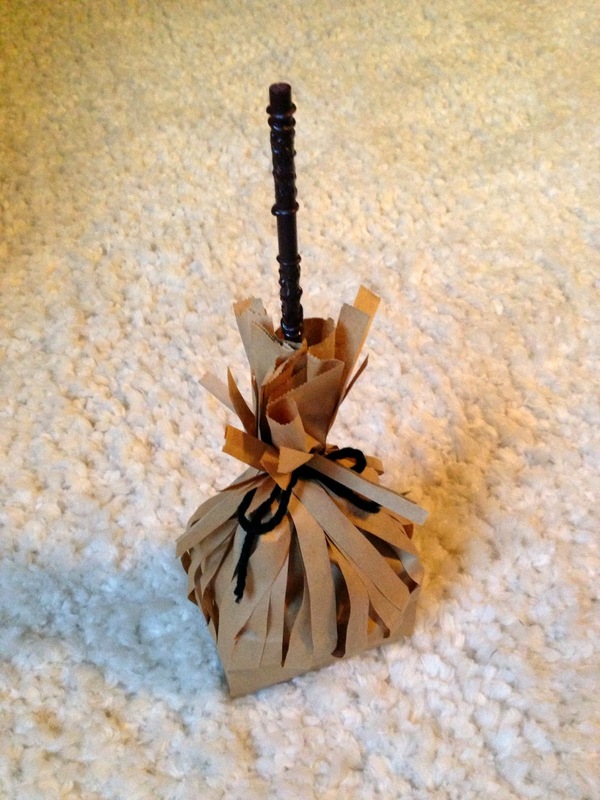 Our partiers left with broomstick treat bags. 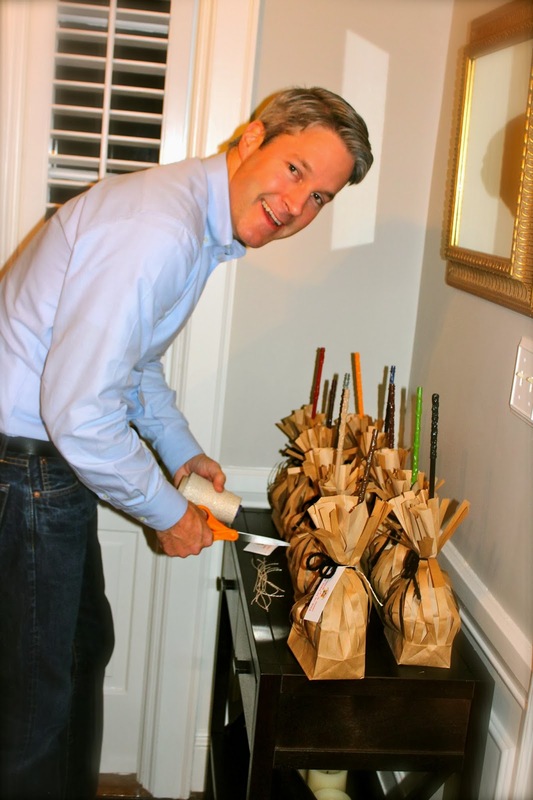 I put the hubby to work at the last minute when I remembered that the "Thank you for helping me celebrate..." tags hadn't been fastened to the treat bags yet. What were your games with the playdoh, paper plates and pens? One child drew a card with a word on it (cat, glasses, lightening bolt) and then tried sculpting the object with the playdoh while the other kids watched. The first child to accurately guess the answer won a point. 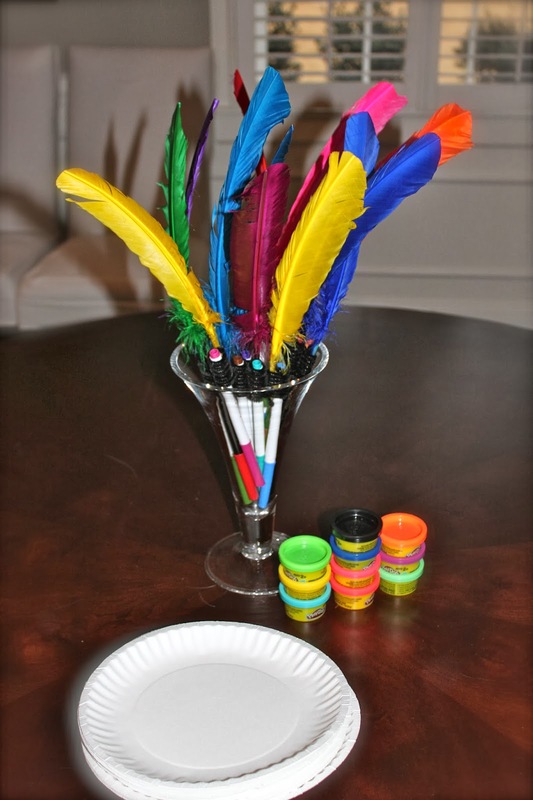 The paper plates and quills were used for a drawing game. First everyone wrote their name on the back of their plate. Then they placed their plate in top of their head and were asked to draw something (Hedgwig, a broom, the snitch) without peeking. When everyone was finished, the plates were collected (name-side down) and the birthday girl chose her favorite/most accurate drawing as the winner. 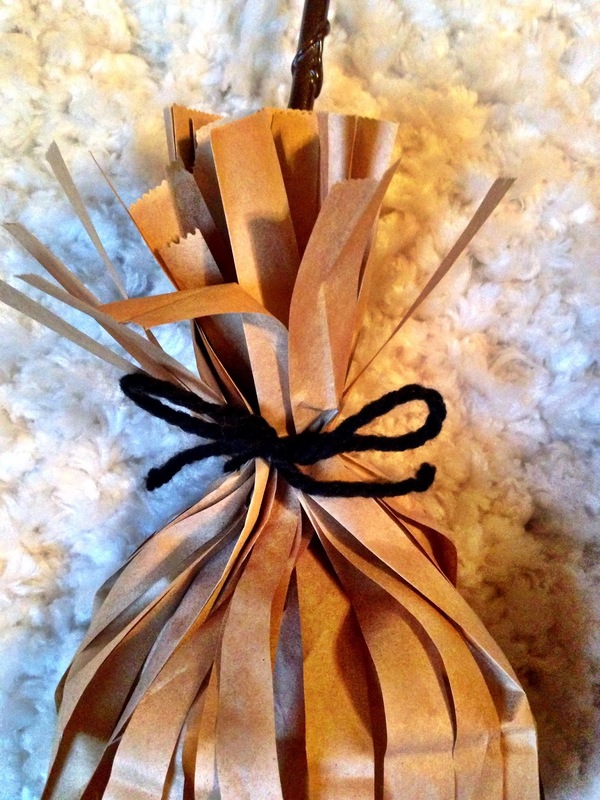 Awesome blog!! 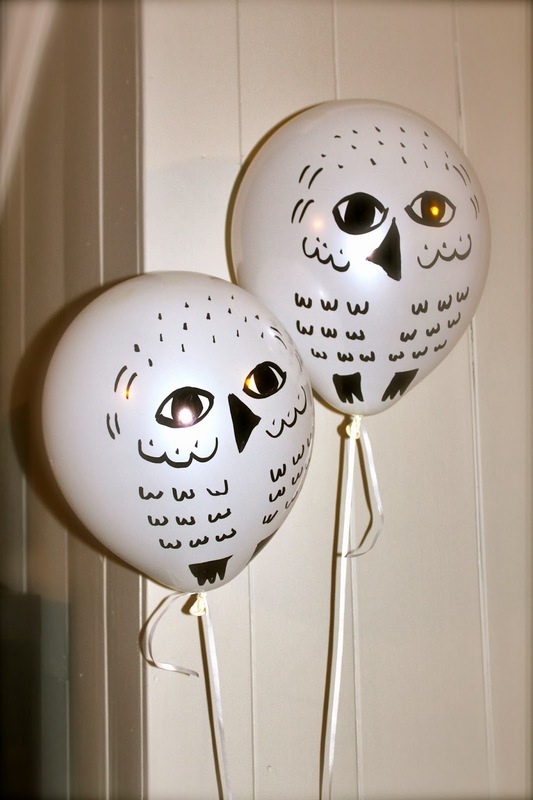 Great to see these amazing Harry Potter birthday party ideas. You did a good job in arranging this creative party. I seriously admire each and everything. Have never arranged such party but would love to do it this time at one of venues in Los Angeles. Thanks for sharing.